DEX's best-in-class Repair, Parts and Manufacturing Solutions are not only designed to improve the performance of your wind turbines — they are optimized to extend the life of your components while reducing overall costs. These solutions are designed specifically to extend mean time between failures (MTBF) and mean time to repair (MTTR). With an average MTTR from 10-14 days, DEX increases your availability and profitability. 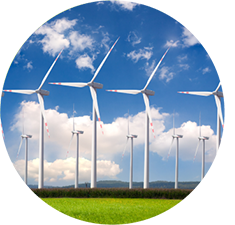 Over the past 30+ years, DEX has provided global Fortune 500 companies with cutting edge repair services and solutions that greatly minimize wind turbine operation and maintenance costs. DEX is ISO certified 9001:2000, 13485:2003, 14001, and warranties quality on all repair and parts services.